I love cases. Love em. There are three case companies that I absolutely trust and can count on every time. 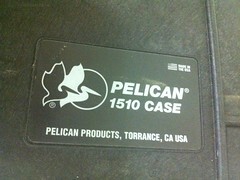 Now, don't get me wrong, there is a slew of companies out there making awesome cases, better cases, crazy cases. But these are the guys that make quality stuff, at solid prices, every time. And, these are the guys that I went to for my own stuff. It's easy to say R&R is the best, but I can't afford them. It's a BMW. not fare. 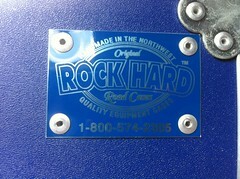 These guys do the custom, fully legit ATA road cases. Can't use them all the time, don't need to use them for the generic stuff, but there they are. Very solid, nice guys. Most importantly though is their craftsmanship. TOP NOTCH. love em. Very realistically affordable, great variety of generic stuff, all day every day. No custom fees, they just keep a stock of stock cases. See what I did there? :) It's Mark and Liz, a very lovely couple from Washington state who have always been more than pleasant to work with. They're my secret weapon. The cops use em. I swear they must make a 1000 different cases, and if you can't find one, they do customs. Beautiful foam work on the inside of these guys. 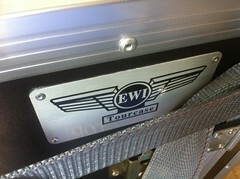 Extremely lightweight, nice rolling luggage wheels. These are the guys for the individual, "let's foam it out" pieces of gear that are critical. They pick up the slack from the other two guys and really get the smaller, detailed items protected. Quality prices, extremely quality gear.